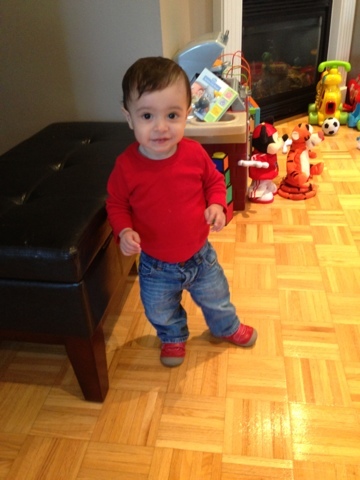 My almost 18 month old is a little runner. The second his feet touch the ground he's running! We are having a slow start to spring so we aren't playing outside as much as we would like to yet. We need better weather! 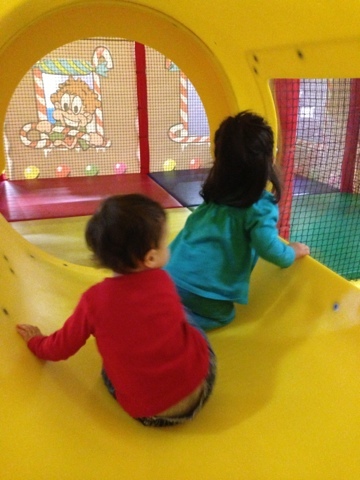 Today we went to a playland to run around! Kris loves it. 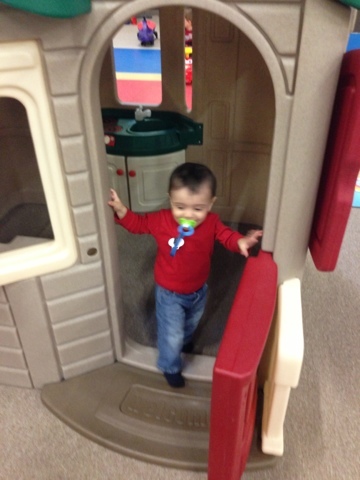 He loves running all around the place and getting in and out of the toy cars and toy house. 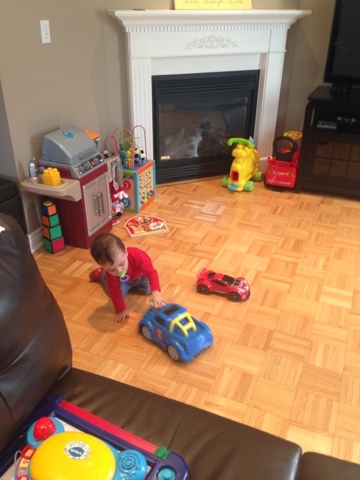 He loves playing with cars. He calls them beep beeps ha! Soon the weather will be nicer and we will be running in the park everyday!